CARFAX One-Owner. Clean CARFAX. 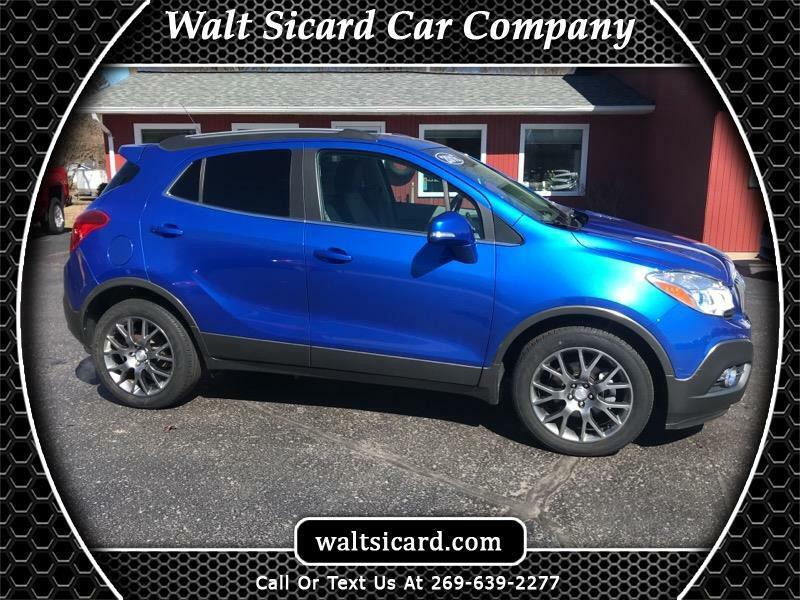 Coastal Blue Metallic 2016 Buick Encore Sport Touring FWD 6-Speed Automatic Electronic with Overdrive 1.4L I4 Turbocharged 2016 Buick Encore Sport Touring in Coastal Blue Metallic, Sought After Options Include, **STILL UNDER FACTORY WARRANTY**, **ONE OWNER**, ** BACK UP CAMERA **, **APPLE CAR PLAY**, **BLUETOOTH**.